How do I create loyalty with my millennial audience? Creating loyalty with a large audience is a difficult task for any brand. This has proven to be specifically hard for brands looking to connect with millennials, the largest living generation. They are about to enter their prime spending years and are empowered consumers with the world at their fingertips. Digital natives do not feel the need to develop brand loyalty, as they have access to an infinite array of purchase possibilities, with no geographical or informational limitations. Deloitte’s yearly study on millennials showcased this. Results displayed that they are not afraid to move and move quickly, from any brand. Why? They feel loyalty must be earned. Likewise, an article by Forbes Magazine titled Brands Need To Step Up Their Game To Win Over Millennials showcases just this. Only 7% of millennials would consider themselves brand-loyal, and these, stick to brands that they feel add value to their life. Value for a millennial can be defined on very broad terms. From personalised communications to engaging content with loyalty programs, the general idea is that the value for money scale must always be aligned. Millennials can be picky about brands but looking on the bright side, they are more willing to try out new brands if they see a direct value, as published in a study by the American Marketing Association. Large companies like Apple and Amazon have mastered this task by achieving modern marketing’s ultimate goal: enabling millennials to spend time with their brands. The foremost was named “the brand millennials feel most loyal to” by Fortune Magazine, based on pure emotional attachment. Amazon came in at a solid number 3, right after Disney. Apple has robbed the hearts of this generation, because of their “intimate connection” based on strong emotional ties. 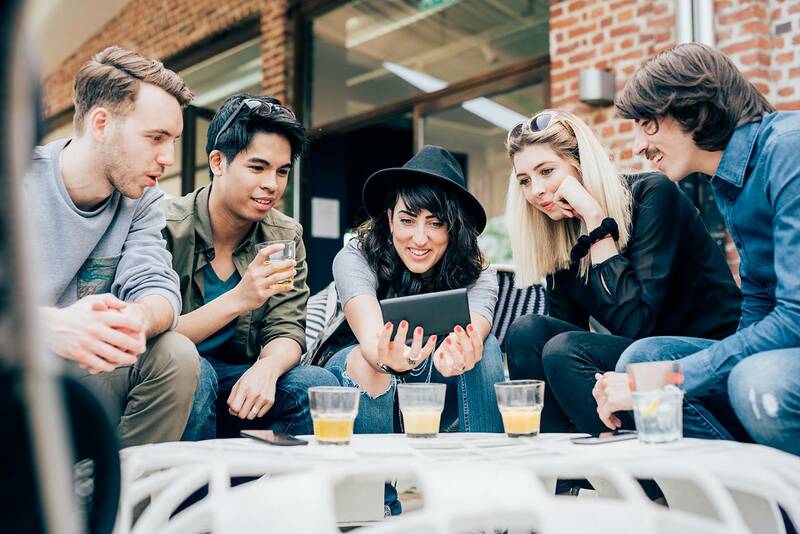 Millennials feel the brand represents their digital nature. This goes in agreement with Deloitte’s report which states that the lack of alignment between millennials’ perception about corporation’s motivation and their own priorities affects their allegiance. But there are more success stories, like FitnessBlender, an Instagram start-up focused on workout programs and meal plans. Their website reads “Fitness Blender has reached tens of millions around the globe, all from word of mouth; happy viewers sharing our content with friends and family”. Why millennials shared their content in the first place is evident in how they add value through an interactive approach that teaches users how fitness can be “attainable, affordable and approachable”. For personal brands, a guy like Gary Vaynerchuck is at the top of the success chart. “Gary Vee’s” direct approach to millennials is a clear example of how having a dialogue with followers creates a lasting connection. His landing page reads “Get the hustler’s digest, directly in your inbox”. By providing high-value relevant content and maintaining constant interaction across platforms, you will make sure natives enjoy spending time with you. This is why I was compelled to buy 20 copies of his book! Keeping in mind that it costs 5–25 less to retain a current customer than it does to acquire a new one, all brands should be looking to answer the question: How do I create loyalty with my millennial audience?